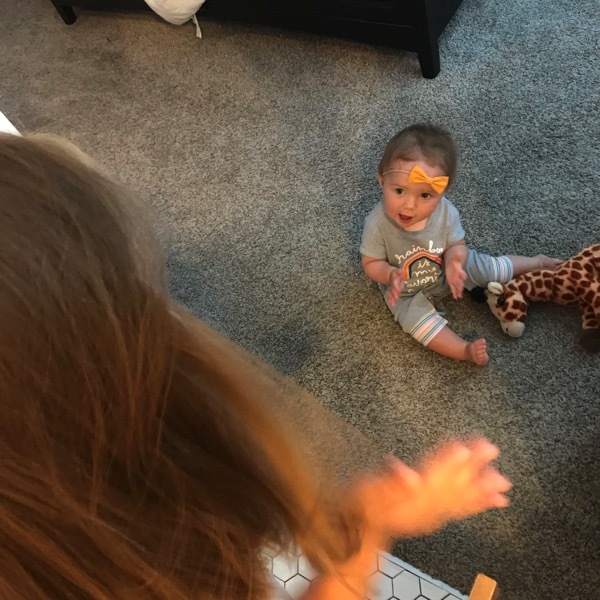 Peak Week, Postpartum Changes, Tangents! 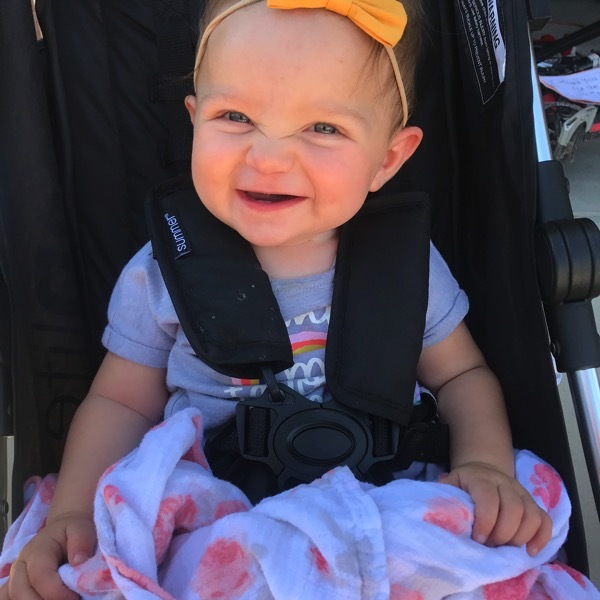 Skye’s 9 month update is HERE!! I did not put on make-up for my 6:something run… my eyelashes are as fake as can be (I’m not sure I even have real eyelashes anymore…) and my eyeliner was probably from 3 days previous. I wash my makeup off each night except I try not to get water near my eyes because of the before mentioned eyelashes to make them stay on longer ($$) so I don’t always take my eyeliner off;) BUT I do always put on a very thick layer of one of my biggest life addictions before I leave. Andrew was confused when we first got married and he saw my lip gloss next to the bed and that I put on a thick layer a minute before falling asleep. I can’t have chapped lips in the middle of the night… that would just be terrible;) I learned this from my sister so really, we are just both weird. Monday morning= 6 miles @ 8:49 average pace and my entire body felt soooooo tired. BUT this is how this part of marathon training is supposed to feel. If I felt fresh and chipper at all times then it’s a good sign I am not working hard enough. So I just roll with it on the easy days and then on the hard days (EHHHH TODAY!!!) I just have to fight through it and continue to learn how to push through tired legs. “Are your thoughts about you propelling you or limiting you?” <—Take note today about the way you think about you and your running. Are they holding you back or helping you shoot forwards? This training cycle I have made the decision to be over-confident about my running and what I’m capable of and that is going to pay off on October 6th! (When talking about taking risks… and for us that could mean making big goals for our training)—> “There’s two different types of discomfort out there… you can have the discomfort of not growing, or not challenging yourself and feel bad about yourself… or you can have the discomfort of growing. Either productive discomfort or unproductive discomfort.” I think running is the perfect productive discomfort. We are growing, challenging ourselves and taking risks while we become stronger mentally and physically. 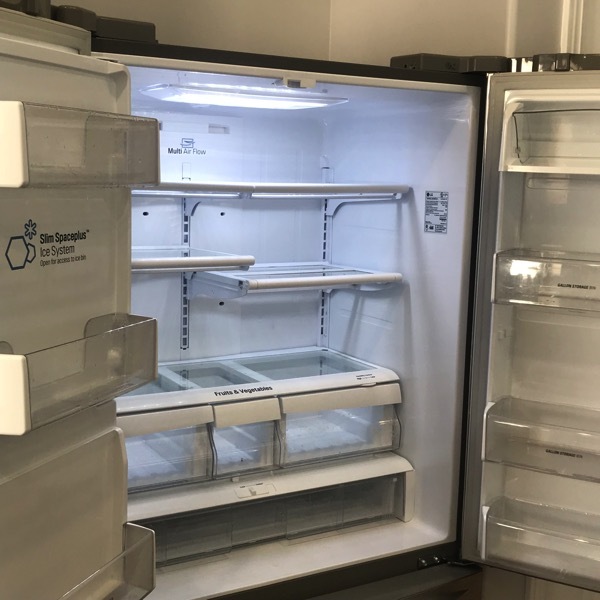 Now don’t be too jealous about my morning activities… I did riveting things like cleaning out the fridge. The satisfaction I get out of doing things like this is pretty great. Skye and I made it out for a walk too. The early mornings here are getting chillier (I might wear gloves today) but it still gets pretty hot during the day. 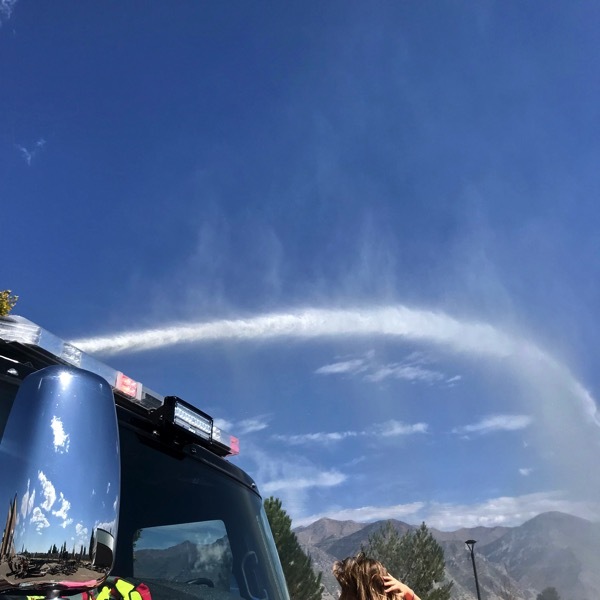 After school I took the kids to a park where the local firefighters had the hose out for the kids to run through! 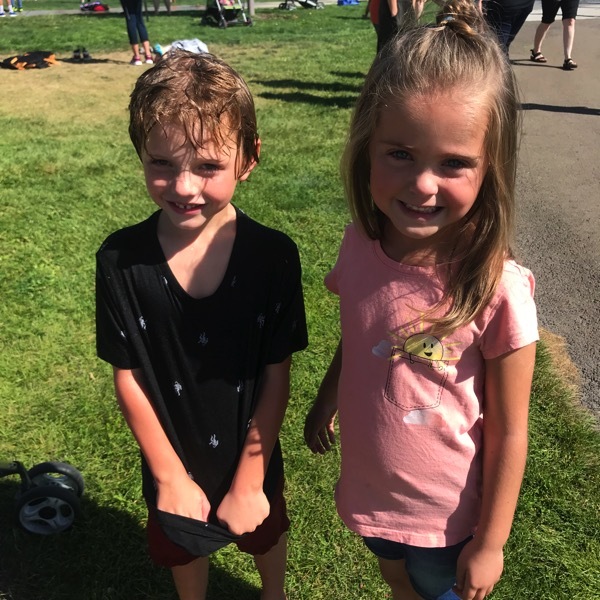 Knox tried to get as wet as possible and Brooke tried to stay as dry as possible. We got in some snacking afterwards. And then I worked on getting my legs ready for today (compression boots). Skye loves copying us when we clap. And Andrew spoke to my heart on his way home and picked up pizza… it sounded delicious and so so so easy. Andrew has now convinced Brooke that pizza should be dipped into ranch dressing. 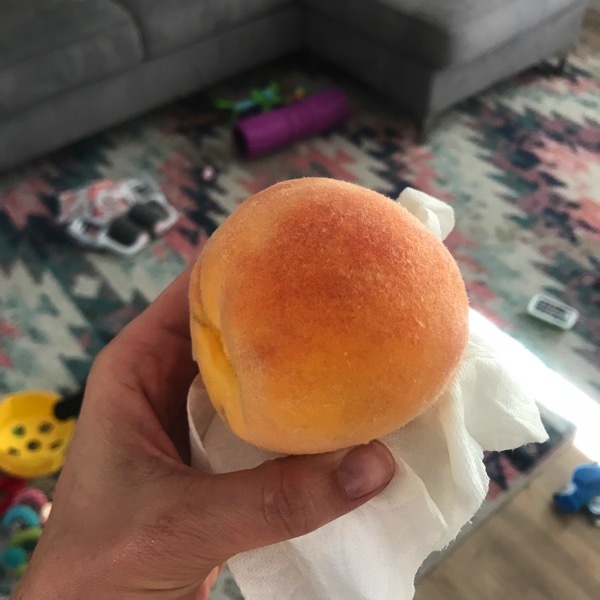 Dessert = one of the best peaches I will ever have in my entire life from my mom’s house. I’ve got a few tangents for you today! *This week I’ll be hitting my highest mileage of this training cycle! I have a LOOOONNNNNGGGG workout today and then the last 3.1 of my 22 miler this weekend is speedy! The highest mileage I have ever hit is 70 miles in one week (when training for Boston in 2015) and I’m pretty excited to get up to 62 this time especially since this has been a shorter training cycle than normal for me. 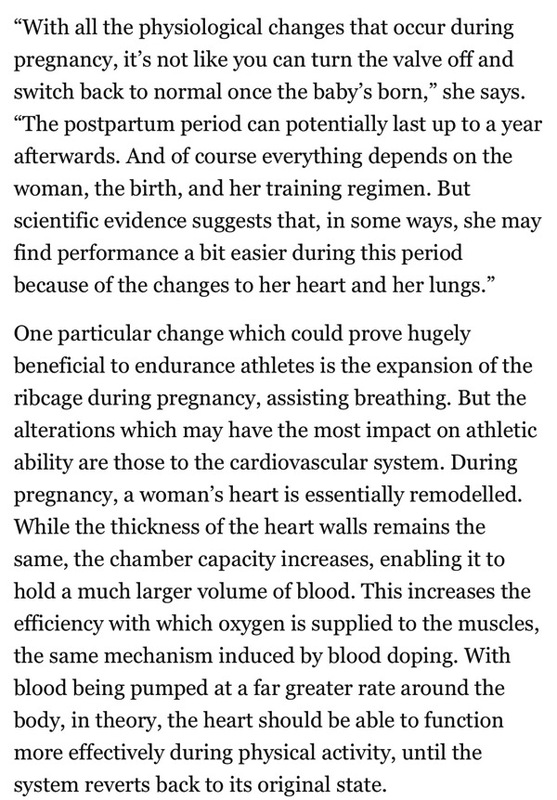 *I’ve been reading up a bit on some really interesting benefits that can occur up to a year postpartum for women. I really do believe there are some awesome benefits and I’m feeling stronger than I have in a very long time (for many reasons of course but I think this contributes). Who knows if my body is still experiencing these same changes but I’m just going to believe that I am either way because I’m a big believer in the placebo effect too. (Source for below article). *My friend posted this yesterday and it made me laugh… the same goes for packing for a race, I bring at least 4 different options for one race. *I washed my AirPods again. I know. It’s ridiculous. I put them in my fuel belt during the last few miles of my long run last week to talk to Andrew and forgot they were in there. I have to wash my fuel belt a few times a week because I sweat a lot and I put it right through the wash when I got home from my run. And guess what… they still work perfectly! How is that even possible? Hopefully, I won’t test them out to see if they work after three trips through the laundry… My goal is to stop at two. *My brother is having back surgery today… say a little prayer for him if you can today:) He has been in extreme pain the last few months! Another reminder—> I have a new update about Skye here! Have you had surgery? On what? How did it go for you? Anyone else love to dip their pizza in ranch? Any other random food combinations that you love? Have any strange habits? (Like how I have to have thick lipgloss on in order to fall asleep at night). Tell me a tangent today! The best spring/summer recipe, Do I have an INJURY or it is just DISCOMFORT??? Ugh love it – why be under confident when you can be confident. Needed that today. In the Midwest, we dip our ranch in pizza. Ranch flows through the rivers. Ranch and cheese are 20% of our body composition. They use ranch at every fuel station of our marathons. 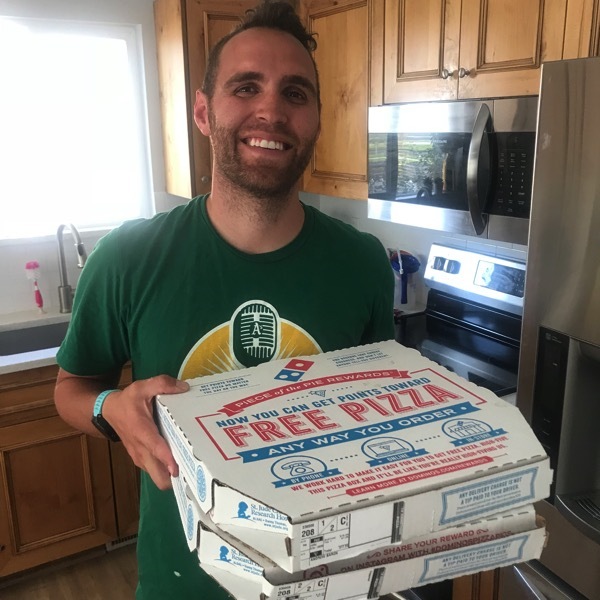 Galen Rupp ran so fast because ranch. Have a great long workout! 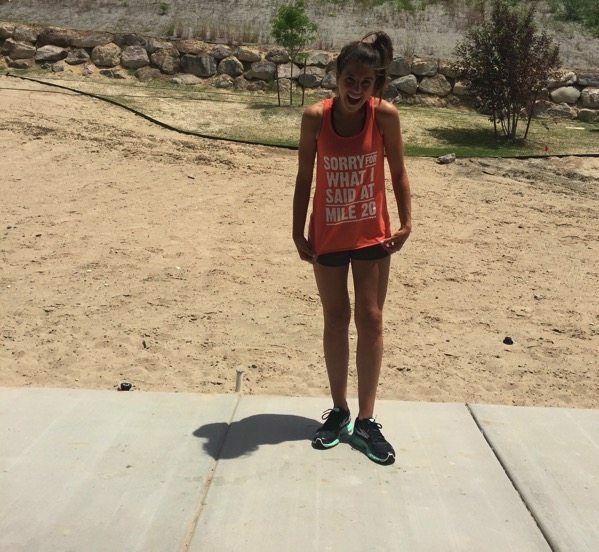 Kaytlin, you need to be confident… you are incredible! HAHAH your comment made me SO happy and I read it to Andrew and he laughed. Thanks for that:) Thank you and I hope you are having a great day! Congrats on your big week of training! You WILL CONQUER those last speedy 3 miles of your 22 miler, no doubt! 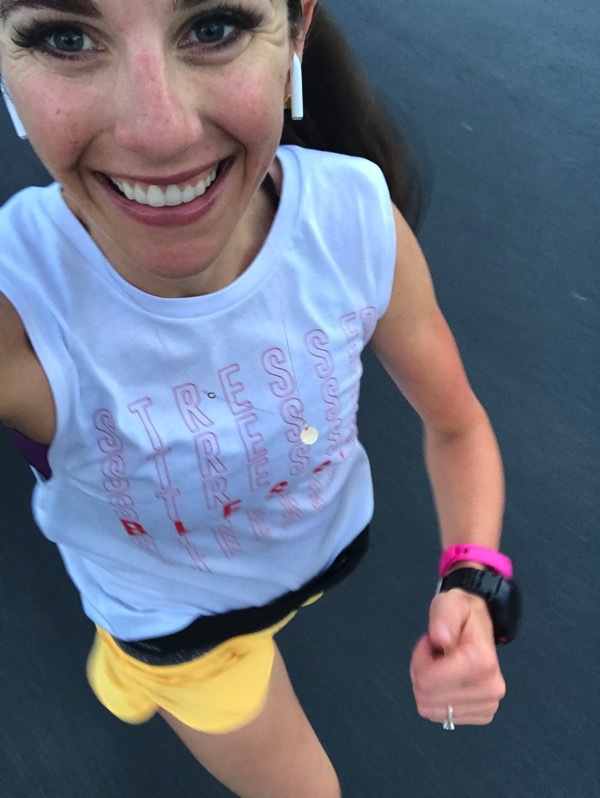 I actually hit my biggest mileage ever last week—51.2 miles :) I’ve come close to 50 before but never quite hit it, and it was this “thing” in my mind that I thought I might never do. “I”m a 35 mile a week girl” I’d tell myself. Well, with EASY runs EASY and a good coach, maybe just maybe I can do some of this higher mileage stuff in marathon training. I am always jealous of your pretty lashes! I ALMOST got my eyebrows microbladed about a month ago, but the guidelines said you can’t SWEAT for about a month b/c the color/pigmentation might be altered/ruined. Uh, I can’t go a month without sweating in the summer/fall, soooooo that’s on the table at least for now. ha ha I’d love to do it though!!!!!!!!!! AHHHH JEN!!! You rocked it last week… I am SO happy for you! YES, that is the key to higher mileage… I’m learning that now too because I used to say that above 55 miles for me = injury but the easy miles make it so we can without injury. Oh I seriously want to do microblading too but we can’t go a month without sweating! Maybe I’ll do it after my next baby when I take 6 weeks off again;) Andrew is going to be upset with you for telling me about these new fall clothes and that tee;) Thanks Jen and I hope you have a great day! I’m not a pizza person (I hate marinara sauce), but I dip carrots and apples in ketchup, which some people find strange?? It’s normal to me, though! :) And I’m the same way with my lip gloss!! Victoria’s Secret Candy, Baby is my go-to—I can’t function without it! Tangent: I’m really thankful for my two good friends who are married and let me third wheel it with them a lot of the time. We started having Monday night “Tour de OC” dinners together last night, and it’s so enjoyable. Maybe one day I’ll be able to go on double dates with them, but for now, I’m incredibly grateful for the people in my life like them who take me as I am and let me be part of their lives and don’t make me feel like a third wheel at all. Thank you so much Natalie! I am SO SO sorry. You will be in my prayers. This is terrible. Okay, your tour de OC sounds perfect… I want to come!!!! 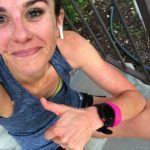 My first ever half marathon is on October 7th and I really enjoy reading your blog because I feel like we are at the same place in our training (even though I train waaaaaaay less than you do… hahaha!). AHHHH one day apart. I am SO excited for you Florence. Please let me know how it goes and we are almost to taper time! I am amazed that you can wash earbuds! Apple is truly a great inventive company that makes products that last forever! That pizza makes me hungry! PS-I love pizza too but I try to refrain as I do not need the extra calories! LOL! I am too… I just don’t hope I test my luck one more time! I hope you get some pizza soon… life is too short to miss out on it:) Have a beautiful day Ann! I love dipping my pizza in ranch. I also have chapstick everywhere in my house, purse, and desk. I also have a lotion everywhere too. I hate dry lips and hands. OH YES… I am the same with the lotion too. Dry lips/hands/legs/anything is pure torture. We get each other. I’ve had two lumps removed from my breasts and one needle biopsy (all benign thank goodness). One surgery to close up a large cut from an oyster bed on my knee, LASIK eye surgery, and PRK eye surgery. All were fine, and minimal recuperation. I love to put blue cheese on top of my pizza. Or freshly pickled jalapeños. I also have to hve my lips moist in the night and on the run but I prefer a lip balm as I cannot stand how sticky lip glosses make me feel. On the tangent, I am having buyers remorse on the vehicle I purchased 4 months ago. I feel like I went too fancy and need more utilitarian. My hubby really likes it but I am just not comfortable…strange the things we worry about. Oh wow, Tonya… I did not know about any of these surgeries. You are tough and I am so thankful that the biopsy/lumps were benign. I am going to have to try that blue cheese combo! OH NO about the buyers remorse… I hope that it starts feeling more comfortable for you soon! I hope that you are never stuck with chapped lips during the night. I am glad we understand each other on this! Have a wonderful day Marilyn. I got goosebumps reading your comment Amanda. Thank you. It means a lot to me. 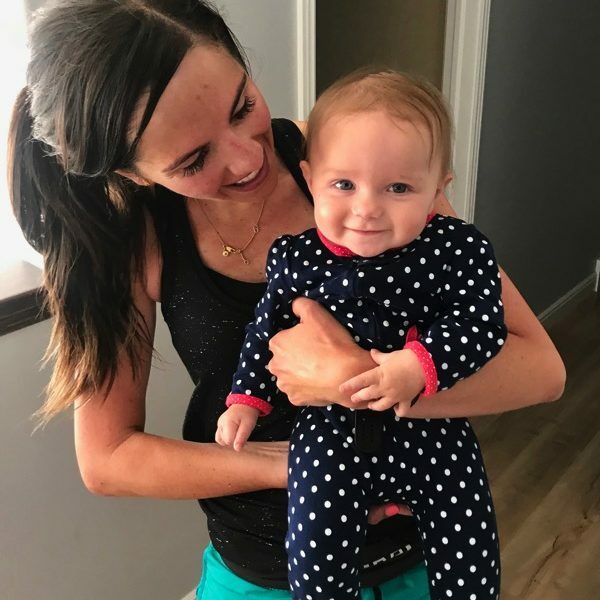 I want to cheer YOU ON TOO so keep me updated and the things you are training for! Thank you and have some Ranch + pizza asap! Prayers, well wishes, and healing thoughts to your brother! My tangent is my happiness is so much greater when the temperature is above 70 degrees. We got 2 cold days and now back to warmer and I am so thrilled. Amanda, thank you so much! It means a lot to me! TWO COLD DAYS already… what?!! I hope that hip is still very happy and that you have a wonderful day! Wishing your brother the best on his surgery today! 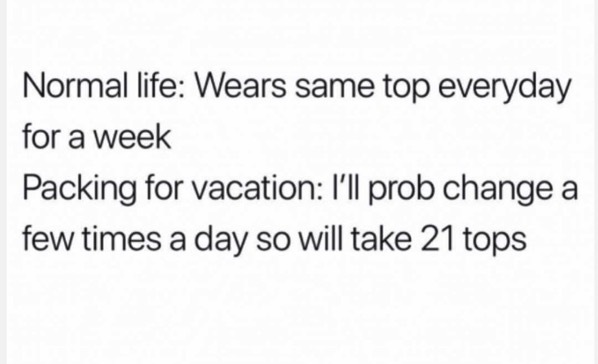 That post about taking 21 tops on vacation – totally me as well! I come home every day from work and put on the same pjs for a week straight. But I hate packing for a weekend trip because I have to prepare all these different outfits. Completely nonsensical, lol! Thank you so much Amber! YES to all of the chapsticks, it is necessary! Hahah yep, it doesn’t make sense but I am just like you–> comfort > wearing lots of different things at home haha! Uh, yea… lip gloss before bed is a MUST. Like you said, I can’t possibly have chapped lips in the middle of the night!! I did once and it was painful!!! 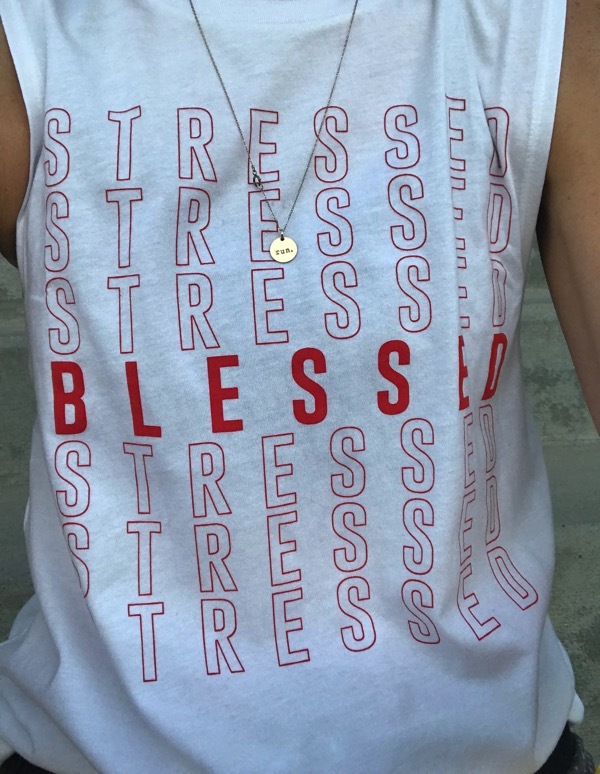 Love the dressed/blessed tank you are wearing! All I can find on the website is the tshirt though, can you provide a link for the tank? 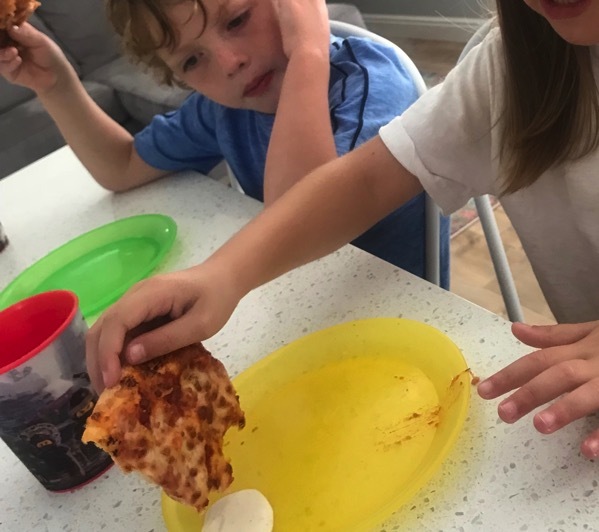 Dipping pizza in ranch happens at our house every time we have pizza! I also love the comment about being confident. Last night before my harder run this morning (4×2 miles at tempo pace) , I felt very confident about it. This morning, still felt confident (despite my brain telling me not to jinx it and I pictured myself biting it on the sidewalk because it was pitch black out :)) and about halfway though my 3rd interval I thought I got this! And I did! I just think mental attitude makes SUCH a difference and I love hearing you are confident! Its a great reminder and something to focus on for the next 4 weeks! We just get each other! I love it. WAY TO GO on your 4 x 2 workout, that is TOUGH. It really makes the biggest difference. We are going to have amazing marathons! Thanks so much Meg! Just prayed for your brother; please keep us updated! I have a consultation for back surgery this Friday myself. Had the two shots and that hasn’t done much. I’ve had a c-section but the back pains are definitely worse. I love dipping pizza in ranch! The garlic butter sauce is the best though! Ranch seems like the vehicle for every kind of food to be dipped though. :) I’m with you on the chapstick. I don’t do much make-up but I HAVE to have chapstick on at all times. I love the EOS ones and go through that like no one’s business. Have a great day, Janae! I totally will… he is in surgery right now! I am so so sorry you are going through this Marie. Back pain is the absolute worst. If you are in Utah I could give you my sister’s back surgeon’s info (my brother is using him too), he is very good. I’m praying for you. Oh I 100% agree with you on the garlic butter sauce, I require my own little cup of it. Sending prayers and well wishes for your brother. I hope he’s able to have a speedy recovery. Also sending you good vibes for your long run this weekend. You are a rockstar! I love ranch dressing with my pizza. I also love dipping my Wendy’s fries in a chocolate frosty. It just works, I can’t explain it. Thank you so so much Jennifer, I really appreciate your comment! OH that combo is meant to be. And now I need it. Thanks Jennifer! I’ve only had one surgery (at age 18) but it went amazingly. I had an incredible team of doctors, and even though there were a million complications that could have happened, almost none of them did. Medical sciences are amazing these days, and if you follow doctor’s orders and think positive you’re in a good place! I love pizza with ranch!! I also love to eat popcorn whenever I am drinking a smoothie, weirdly. I also have to do a 22 miler this saturday! I feel like I’ve spent the last 6 months mentally preparing myself for this one run. Kerri, that is amazing that your surgery went so well. What a blessing! I totally agree with you. Popcorn + a smoothie, I am going to have to try that. YOU’VE GOT THIS KERRI!! I want to hear all about how it goes! What size do you wear in the Sarah Marie Design shirts? I have been eyeing the donut one but I am not sure what size would be best. Pizza and ranch dressing are an awesome combo! Good luck to your brother and hope he recovers quickly. I was thinking about what you said the other day about not trusting your first mile. So true…except the other morning I had an awesome first mile and then the rest were awful. I really would prefer to have an awful first mile and then nail the rest of my workout. Lately its been taking my legs almost 3 miles to warm up, not sure what is up with that but I need to that change since I only usually run 4 to 6 miles. Hey Corrinne! The donut one is so so cute. I wear a size small in all of her stuff and that works. Thank you so much for the well wishes. Oh that is interesting, so even when the first one is good and the rest is awful you still can’t trust it haha! I’m with you… it takes my legs too long to warm up somedays! I hope you have a great day! I’m glad we understand each other and the task of avoiding water near our eyes;) Have a great day! I hope your brother’s recovery goes beautifully after his surgery and that he gets some pain relief from it! 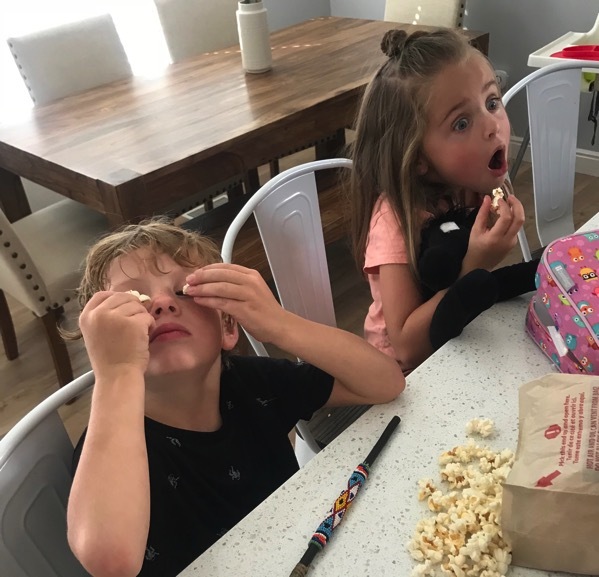 I didn’t like my 2 c-sections, but my kids were worth it :D I had surgery to fix a torn & detached retina several years ago, and the procedure was OK, but the recovery–2 weeks lying face down–was pretty beastly. All I could do was be grateful that the surgeon saved my vision. Hope it’s another warm, fun afternoon for you guys! Thank you so much Corey! Oh wow… 2 weeks lying face down?! I cannot even imagine. I am so glad that everything worked with the surgery, that is scary! Thank you Corey and enjoy your day! I may have to start dying my eyelashes since there’s weirdly gray ones in there nowadays! I always have to put on some “lip stuff” right before bed (and every time I drive – so I have a stash in lots of places). But not lip gloss, just some basic Blistex Lip Medex. And I recently tried Palmer’s Coconut Oil Lip Balm – it tastes delicious! Ohhhh let me know how you like dying your eyelashes… I might have to try that out someday. YES about driving too, I have 2 in the car! That balm sounds amazing, I’ll have to try it! Huge luck to your brother, I hope everything goes great for him!! And good luck to you with peak week! My tangent is that today is the last day of summer temps in my area, and then it’s supposed to get drastically colder tomorrow. So I’m taking off an hour from work for a very important “appointment” to go sit in the sun and soak up the warmth during lunch time. Thank you so so much Michelle! I think that is the best appointment ever for your mental health, ENJOY! I like McDonalds fries in soft serve ice cream I don’t dip pizza in dressing but I haven’t really tried it so who knows might like it. I hope your brother’s surgery goes well and the recovery is smooth! Random tangent. A good friend of mine ran a 100 mile race this past weekend in Oregon, so a bunch of us flew down to crew/cheer/support her. We were awake for 24 + hours chasing her from aid stations up sketchy pot holed roads (sometimes it was 2 hours of driving from one station to the next) – and then there were hours of waiting (and sometimes we missed her). But it was gorgeous – one aid station was at 7000 feet and watching the sunset in the mountains and then the stars were insane. I don’t think I have ever been so tired in my life and I didn’t even run! I think it would be easier to run haha. And she crushed it – she was 11th female. Okay, that fry and soft serve ice cream combo sounds heavenly! Thank you so much Kristine. WOW, that is so cool that you were able to be there for your friend’s 100 mile race. 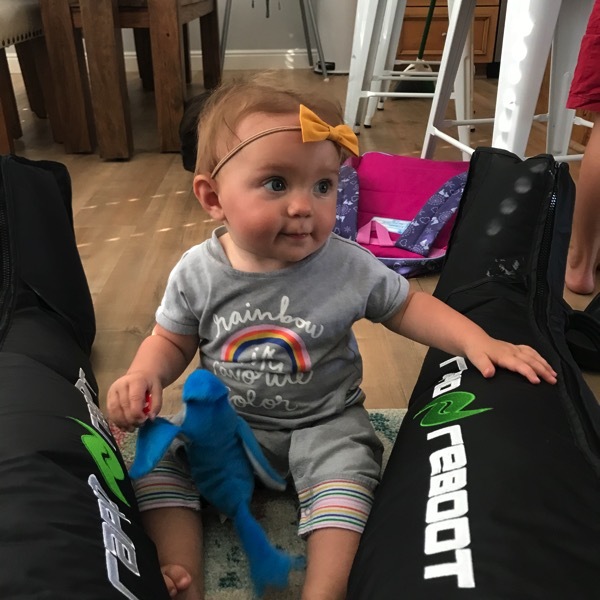 She had the best support crew! 7000 ft… wow. I hope you are recovering from it and tell her huge congrats. Thanks for sharing Kristine and I hope your day is beautiful! I have a question that doesn’t really relate to today post but do you use headlamps? I run early mornings and i do in our neighborhood that doesn’t have street lights. My question is what are good batteries? Headlamps drain my batteries so quickly, I was wondering if you or other readers out there would know of ones that last longer? And I’m interested to hear what you decide to do for music for the marathon! Hey!! I don’t use a headlamp but anyone else!?!?! Thanks Mary and have a great day! I run with a Petzl Actik with the Core rechargeable battery. It has a nice even light for running and is not too heavy or bouncy. I have been lucky to have had very few surgeries – only my wisdom teeth removed and a (thankfully) benign lumpectomy. Both relatively easy which is good because I do not react well to anesthesia and I am always a sobbing mess when they bring me out of it. I hope your brother’s procedure and recovery go well! Pizza + Ranch = LOVE. Maybe it’s a Midwestern thing? Tangent – yesterday I went on an easy 5 mile run and I went a route that was kind of a combo of other routes I usually go – anyway, I stopped at the top of a giant hill on the bluff overlooking the Mississippi River and I actually really, really appreciated how nice the view was. Maybe it was because I made myself go without headphones so I was concentrating on the scenery more, but I realized how pretty it looked! I have had 6 surgeries. Recovery isn’t always fun but I think the person’s attitude and willingness to get better makes a big difference on how fast recovery can happen. Best of luck to him! We have a pizza place nearby that sets out honey. It is amazing on their pizza (I’ve never tried on other pizzas though). It’s good right on the pizza and especially on the crust. What eyeliner do you use that doesn’t look so smudgy after a days wear and sleeping? I’m not a fan of ranch, but I love mustard on my fries. I am the same way, but it’s Carmex. My sweet husband buys me like 15 of them for Christmas. Tangent today: I am currently taking a break from grading essays. Grading is the 1 thing that I don’t love about my job. It makes me question why I didn’t become a PE teacher! Please tell me about the stools at your island! I’ve seen similar ones online at Target and Wayfair but the reviews are so mixed. Some people love them… and some reviews are terrible. Can you tell me where you got them and if you love them or not?! We have absolutely loved them (but maybe I’m not super picky ha). I’ve had them since the beginning of 2016 and they have been perfect. My dad put them together so I can’t tell you if that was hard or not! I hope you are having a great day! I’ve had 2 cervical fusions (feel great now!) 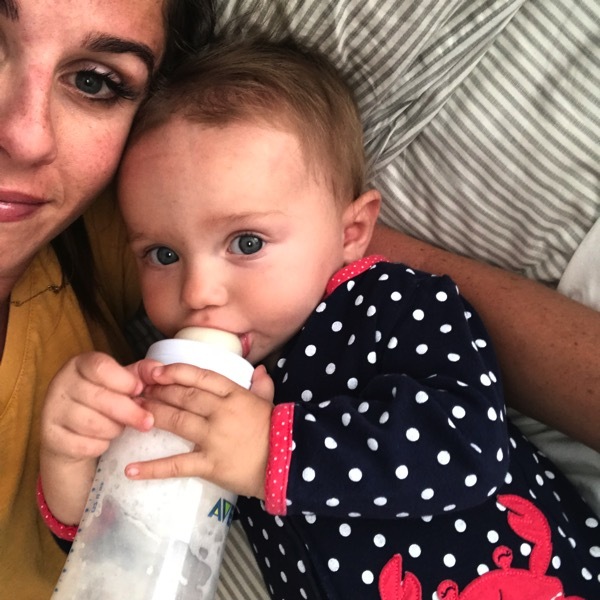 and I have a back surgery on the horizon (trying to postpone as long as possible)….Reading your sister’s post regarding her back surgery was great for me! I’d love to hear how it goes for your brother. Sending him lots of good vibes and prayers for a great outcome!!! I used to be a Carmex girl….NEVER left home without it! But a few years ago, I switched to VS lip gloss and I’ve been hooked every since. I always have to have some with me! I probably have at least 5 tubes of varying amounts in my purse right now! It’s the best! I bought the VS lipgloss on your recommendation a few years ago and haven’t looked back but I haven’t been able to find the Punchy flavour up here yet (Canada). Love everyone I have tried though! Have a blessed day Janae! HAHAH He should have done it!! No way…. I need to mail you the punchy one! Thanks Pam, you too! I always need to drink things either super hot or super cold. If it is in between I can’t do it. Ha, kind of a strange habit and a tangent?! Ahhh. I am glad your brother’s surgery went well. Was his back situation similar to your sister’s? 62 miles?! I truly can not even fathom. Ross dips his pizza in ranch and I remember a lot of people in high school doing that too. I honestly have never tried it, but it does not appeal to me at all. I guess I’m a bit late to wish him luck, but I hope your brother is doing well! I have been considering getting fake eyelashes for the past year! Would love a post on them? How often do you get them filled? Can you shower and/or sweat once you get them. They look amazing on you! I’m trying to figure out if it’s worth the money and time. I am currently training for a long cycling event and have 4 long training rides to go. My body is starting to feel tired from all of the training. Thank you for reminding me that this is how I am supposed to feel towards the end of an intense training program. Best wishes for your marathon. You will nail it!